FINLAND: HELSINKI UNIVERSITY STUDENTS (MISCREANT-MALCONTENTS) REJECTING BUDGET CUTS INTERRUPT GOVERNMENT MINISTER’S SPEECH……. – The Tundra Tabloids……. FINLAND: HELSINKI UNIVERSITY STUDENTS (MISCREANT-MALCONTENTS) REJECTING BUDGET CUTS INTERRUPT GOVERNMENT MINISTER’S SPEECH……. I have my issues with MP Alexander Stubb, everyone who reads this blog regularly knows that’s the case. What happened to him the other day however, at the hands of malcontent and miscreant students at the Great Banquet Hall at the University of Helsinki, was beyond the pale. ….there is no justification, in a civilized society, for the kind of mass civil disobedience that involves the violation of the rights of others—regardless of whether the demonstrators’ goal is good or evil. The end does not justify the means. No one’s rights can be secured by the violation of the rights of others. Mass disobedience is an assault on the concept of rights: it is a mob’s defiance of legality as such. 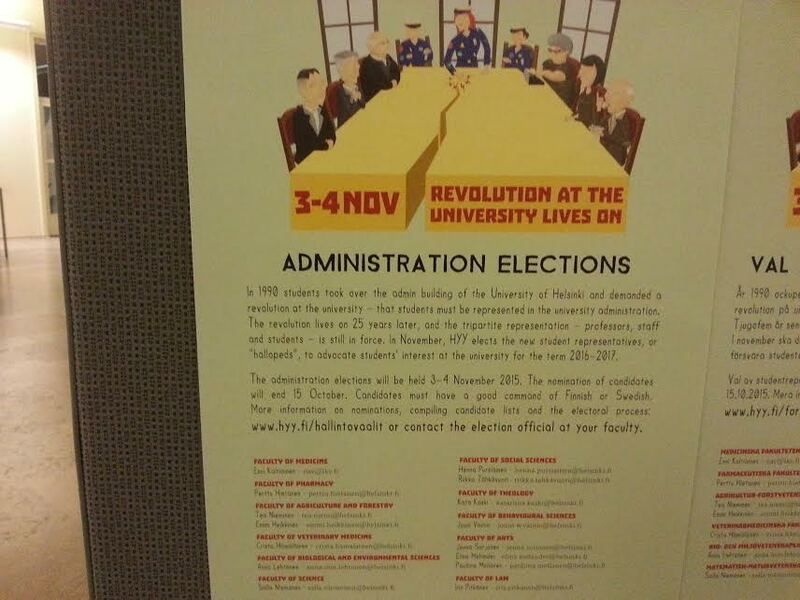 FINLAND: DEADBEAT STUDENTS END 9 DAY TAKEOVER OF HELSINKI UNIVERSITY BUILDING……. FINLAND: RADICAL LEFTIST ”SCHOOL FOR DISOBEDIENCE” TO TEACH YOUTH HOW TO BE SOCIAL ACTIVISTS……. They’ve a long tradition in taking over public spaces, even have a plaque honoring it at the university itself. Protesters loudly opposed the education cuts by the Minister of Finance, Alexander Stubb, (National Coalition Party) today at a conference in the University of Helsinki. The police removed some of the protesters from the hall. The Minister made his speech, although the uproar caused a disturbance. A group of protesters – students, post-graduate students and staff – to shout and sing in the lobby. The aim is to “prevent” Finance Minister Alexander Stubb (National Coalition Party) voice in the adjoining held in the University Hall ceremony. Science world’s best seminar decides University of Helsinki, 375-year anniversary. The noise the demonstration has been taken because of the Government’s education cuts threaten demonstrators believes that the University’s activities and adult education. The noise is loud all the time. Protesters thronged the main building of the University in the lobby outside the hall. From time to time the University assembly hall door opens, with someone entering and exiting. Then the cry and beating gets even harder, says NYT.fi journalist Jutta Sarhimaa who was there. Previous Post Previous Post CLAIM: HEAD CHOPPING “JIHADI JOHN” WENT BOOM BOOM……. Next Post Next Post PROF. EUGENE KONTOROVICH ON EU’S SINGLING OUT THE JEWS FOR “SPECIAL LABELING”……..